Sweet, lively, positive, strong, awesome and reliable Sister t-shirt. Let her know, she has all these qualities, and what better way than this sports material personalized t-shirt with printed texts. Do you have any other colour options for the t-shirt? No. The printing is done on the white t-shirt itself. Can I get a collar t-shirt? No. Currently, we are providing the round-neck t-shirts only. I am not sure about the size. Can you exchange the t-shirt if it does not fit? As the t-shirts are customized, it won_t be possible for us to get the t-shirt exchanged once the printing is done. 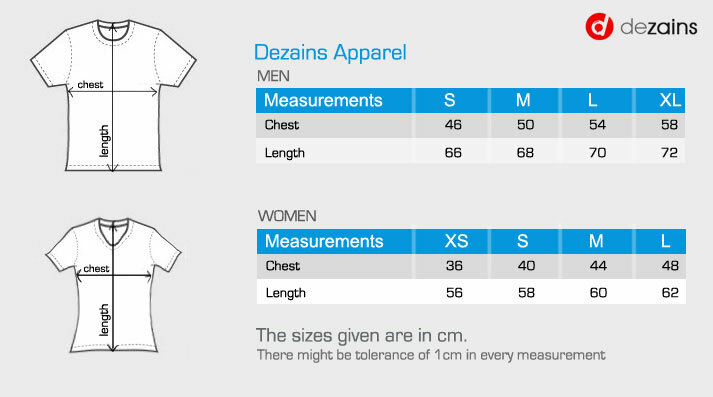 You can refer the size chart above. You can get in touch with our customer care executives, in case there is any doubt about the size, before placing the order. In case the product delivered to you is damaged, we will immediately replace it with a new one. No questions asked. Just drop a mail to contact@dezains.comwith your requirement or contact our customer care and we will assist you with it.